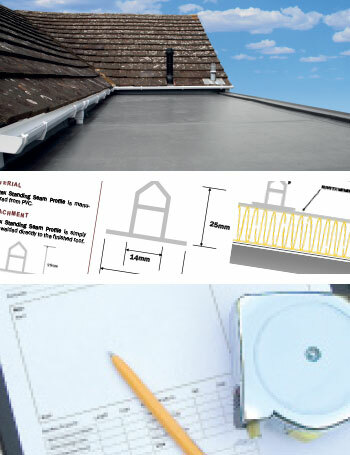 You will find links to all the relivant datasheets on our flat roof and roofline product pages. Roof Technology is an independent company. The owners’ hands-on involvement in the day to day operation of the business ensures that all work undertaken is completed to the highest standards. We are a reputable, financially stable company that provides insurance-backed guarantees with our work. All specifications & costs are prepared by our staff in a clear and precise way, in order to give clients all the information needed to make an informed decision regarding the use of the most appropriate materials for every project. Our installation teams are employed by the company, and our employees are fully trained & very experienced in the installation of our entire product range. Our teams work to high standards to ensure the highest quality of workmanship, and understand that customer satisfaction is paramount. We endeavour to ensure that all our customers’ expectations are fulfilled during a contract, and that any issues that arise are resolved to the customers satisfaction. Roof Technology carries out installations in Berks, Bucks, Oxon, Surrey, Hants, Herts, NW, W, and SW London. We offer free, no-obligation written specifications & quotations. All our labour guarantees are insurance backed & are issued with the relevant materials guarantees. Roof Technology is a registered FairTrades Company and has a customer approval rating of over 90%. Thank you for taking the time to read this; we are very happy to answer any further questions that you might have either via email to info@rooftechnology.co.uk, or in person on 01491 572765 - we look forward to hearing from you!